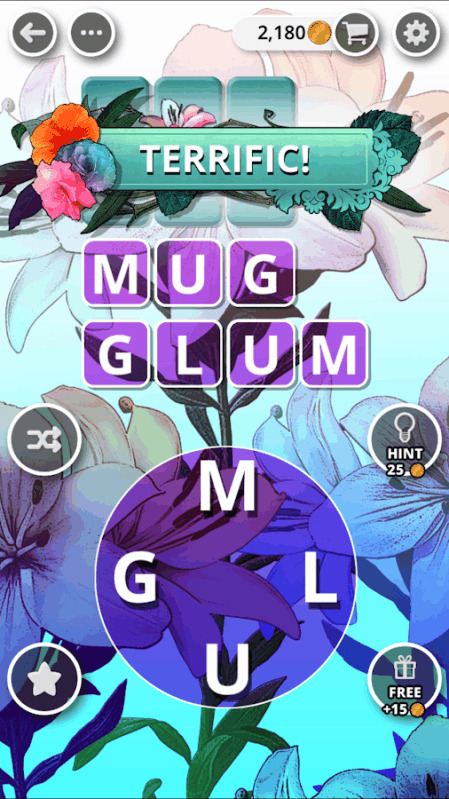 Discover the most beautiful of word games! Finally a lovely game of letters with a careful visual design worth of a work of art! Your eyes will thank you! - Simple and intuitive: slide your finger over the letters to make a word. 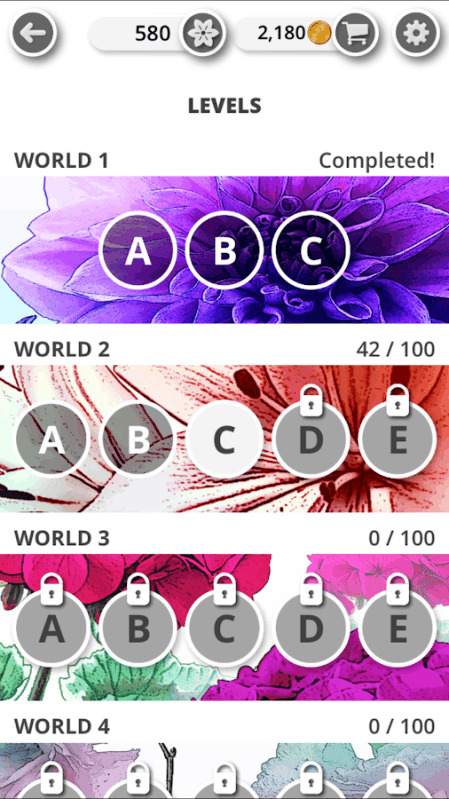 - Uncover beautiful backgrounds created by world-renowned artists! 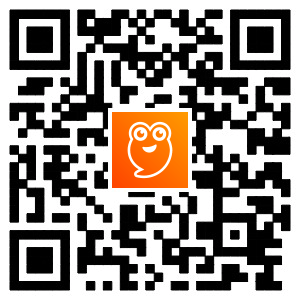 - More than 1000 puzzles in 8 different languages. - Continuously improved via updates. - Thousands of hidden words to uncover thanks to incredibly expansive dictionaries. 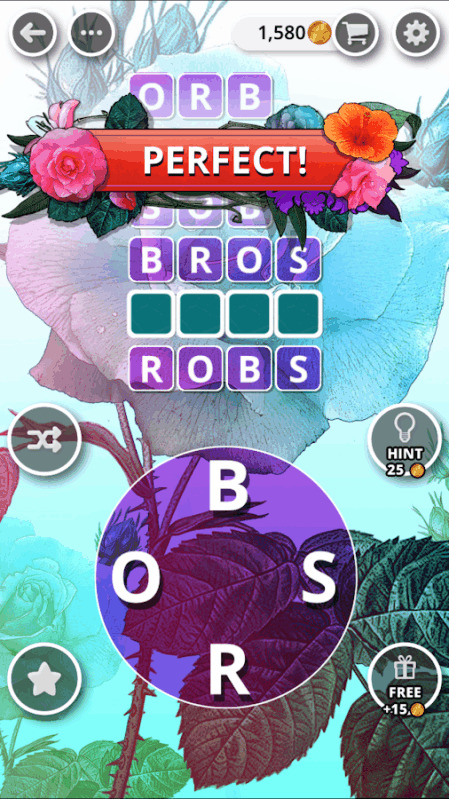 Each bonus word you find earns you coins. - Play off-line, anywhere, all the time! Give yourself a nice little break to relax and think!